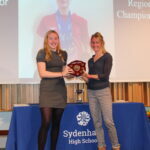 World champion GB rower Imogen Walsh was the guest of honour at this year’s Sports Awards, celebrating sporting talent and achievement across the Senior School at a glittering ceremony, attended by students,, their parents and their teachers. 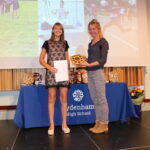 The evening began with reports delivered by sports scholars from year 7 to year 13, covering sports as diverse as rowing, rugby, trampolining and dance alongside athletics, netball,rounders and hockey.. All sports had flourished and the level of commitment from students was clear. 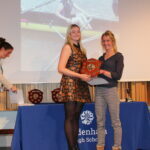 The success story of the night, however, was the progress of rowing. 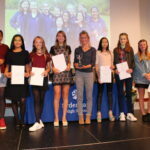 From a handful of aspiring rowers who showed interest after a chance opportunity arose with Dulwich College two years ago, there are now just short of 40 girls involved with half of these in the latest year 9. 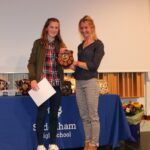 Hard work clearly lies ahead for the rowers, like all aspiring athletes, but, as the guest of honor Imogen Walsh testified, courage and confidence are like muscles: you have to test and challenge them to make them stronger. 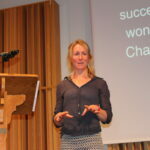 A former international development charity worker and hobby cox, Imogen came to competitive rowing by chance and her message to her audience was clear: say ‘yes’ to everything as you never know where it might take you. 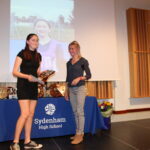 She has also experienced both the highs and the lows that competitive sport can bring: winning gold at her first World Championships in 2011 but then being robbed of the chance to row with her boat in the Rio Olympics.following illness. 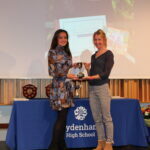 The first individual award, named after recently retired PE teacher Mrs Linda Walters, recognising commitment and progress in hockey, was won by Jessica Verri (year 10). 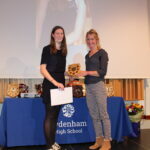 The awards for positive attitude in sport went to Eleanor Varnier-Moore (year 9) and Evie Winter (year 11).with the award for the strongest all round contribution to the PE department going to Esme Burke (year 9). 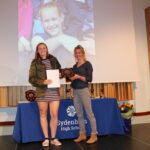 The leadership awards were picked up by Georgina Budden (year 8) and Maisy Saville (year 12) and the outstanding commitment award went to Eleanor Press (year 10) and Phoebe Emburey (year 13). 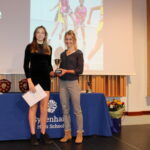 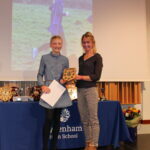 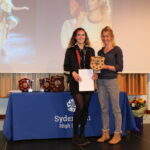 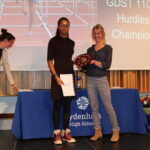 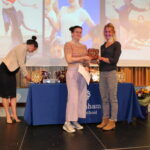 The two All Round Sportswoman of the Year trophies were picked up by Francesca Dinsdale (year 10) and Chloe Harris (year 12) whilst the Elite Performers of the year were Frances Newe (year 10), who has excelled in swimming at a national level, and Grace Fullerton (year 11) for her achievements in athletics. 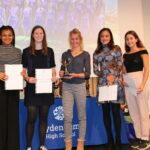 The teamwork awards were presented to the year 8 rounders team who were unbeaten last season and were once again Lewisham champions of 2017 and the Barbados Netball squads who scored a well-earned victory on their tour. 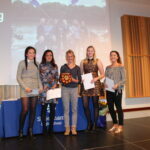 Teams of the year were the year 9 netball A squad and the Senior Rowing squad.